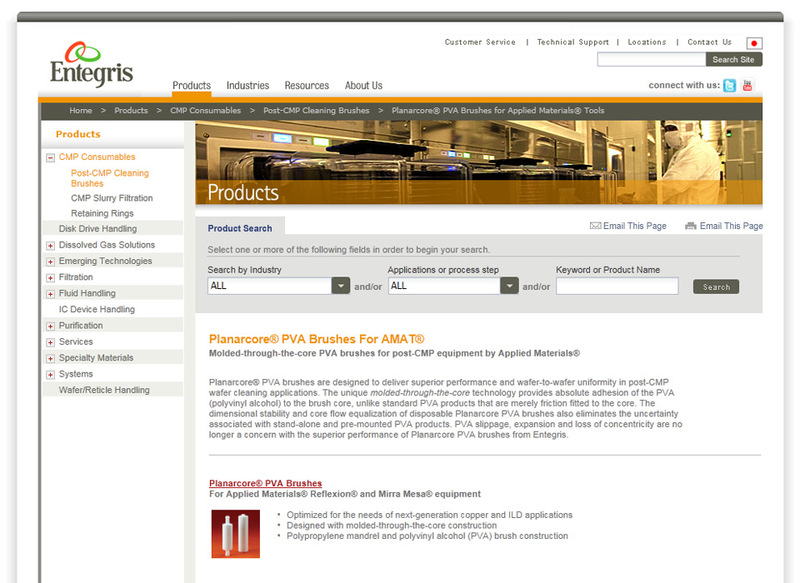 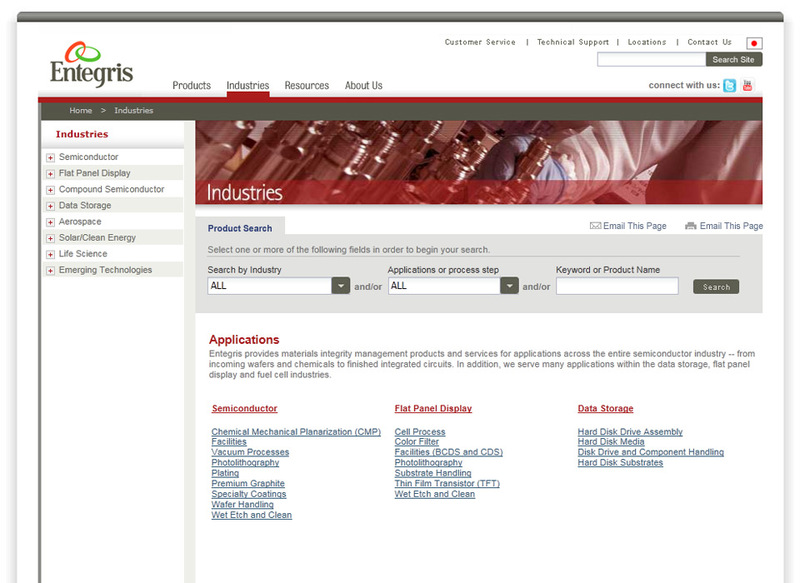 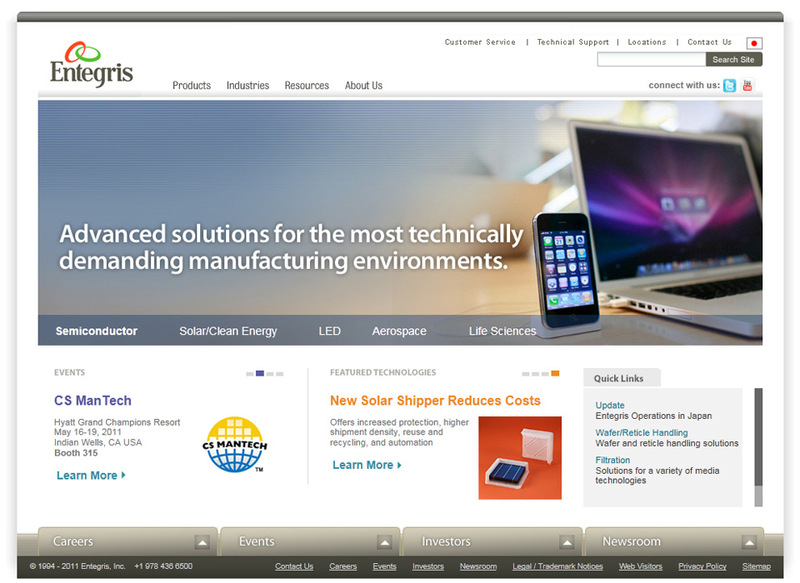 Entegris has been a provider of critical products and materials used in advanced high-technology manufacturing. 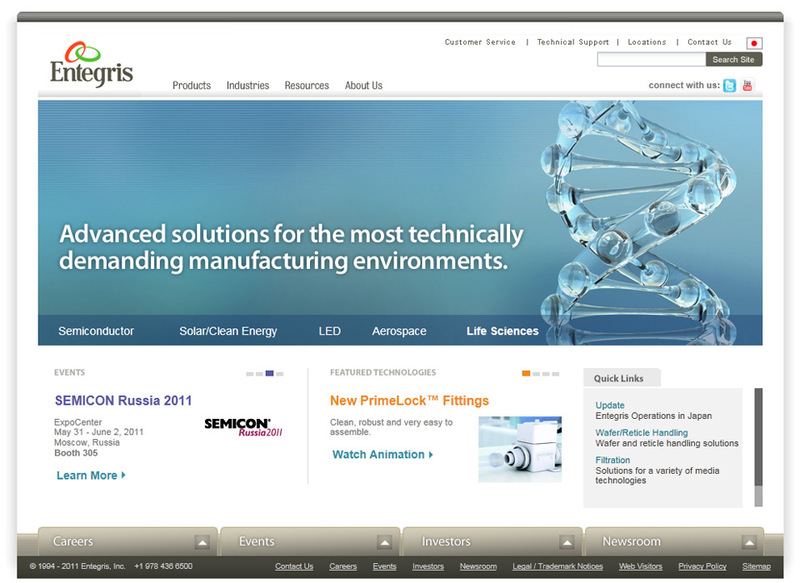 These products and materials are often used to make the building blocks of many of the world’s most complex microelectronic products. 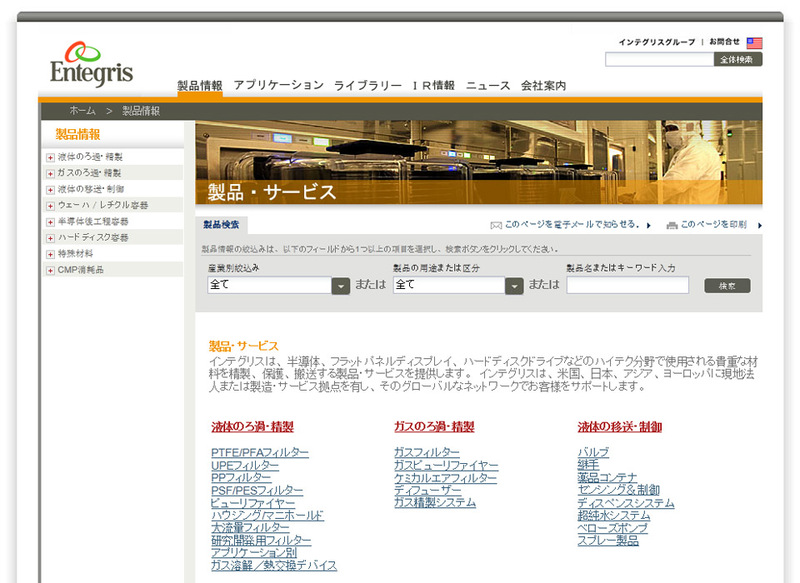 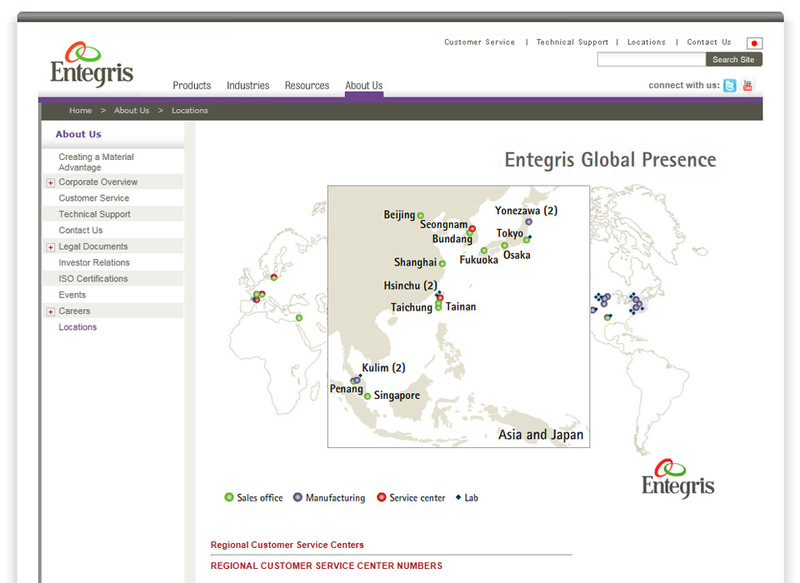 Entegris needed a corporate website for presenting localized content in the US, Europe, Israel, Asia and Japan. 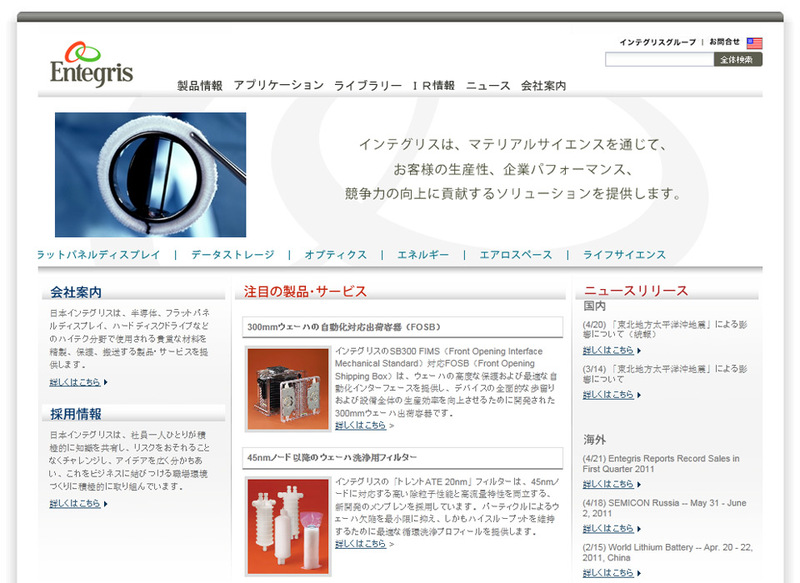 We created a content manageable website that presents content in both English and Chinese. 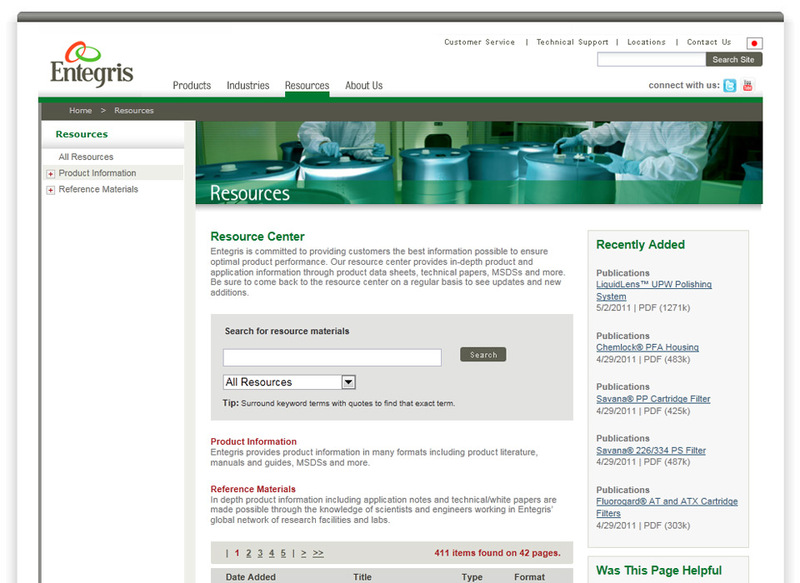 The website enables users to search by products or industries, and a large resources section holds over 800 PDFs for users to review and download.